Build a charcoal fire for direct grilling and preheat it to 400°F. Put the pineapple rings over direct heat and grill for 1 minute on each side or until slightly charred. Remove the pineapple from the grill and dice. In a small bowl, combine the diced pineapple, onion, cilantro, lime juice, and jalapeño and season with salt and pepper to taste. Lightly coat the chicken breasts with olive oil and season with salt and pepper. Put the chicken over direct heat and grill until the internal temperature reaches 160°F, about 5 to 6 minutes per side. Paint liberally with Kingsford® Honey Jalapeño Mesquite BBQ Sauce to allow for caramelization. Remove the chicken breasts from the grill after 1 minute so that the sauce doesn’t burn and let them rest for 5 minutes before serving. 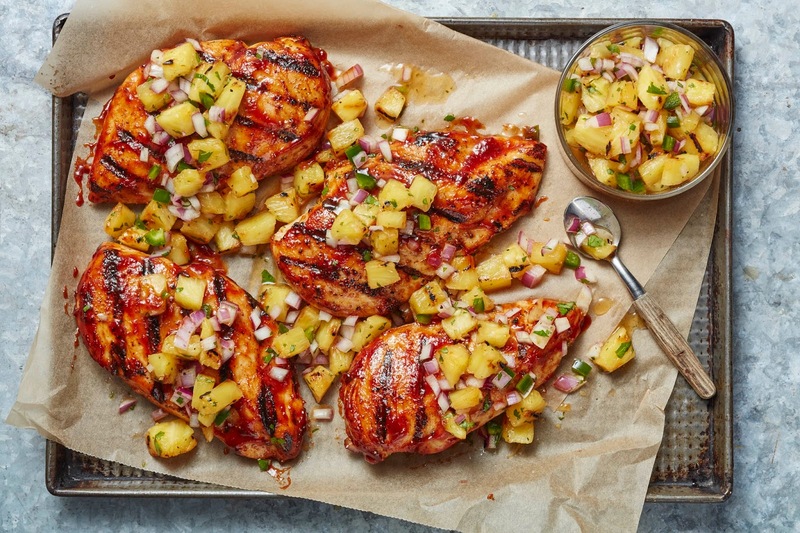 Top each chicken breast with a generous amount of pineapple salsa and serve.